XCOM 2: War of the Chosen – Tactical Legacy Pack, will be available from October 9 on PC. As a gift to the fans, the XCOM 2: War of the Chosen – Tactical Legacy Pack will be available for free to all PC owners of XCOM 2: War of the Chosen until 17:59pm GMT on December 3. The XCOM 2: War of the Chosen – Tactical Legacy Pack tells the story of what happened between the events of XCOM: Enemy Unknown and XCOM 2, and includes new game modes, maps, weapons, armor, and Photobooth options that honor the legacy of the XCOM series. 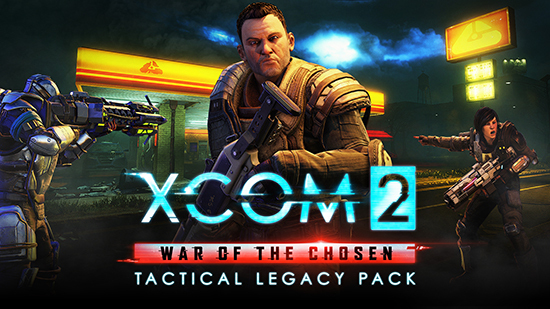 The XCOM 2: War of the Chosen – Tactical Legacy Pack will be available for free to all current owners of XCOM 2: War of the Chosen and those who purchase XCOM 2: War of the Chosen until 17:59pm GMT. From 18:00pm GMT it will be available for purchase at £6.49. The XCOM 2: War of the Chosen – Tactical Legacy Pack will be available on October 9 for Windows PC, Mac, and Linux. NEW WEAPONS AND ARMOUR: Equip your soldiers with reimagined versions of the conventional, laser, and plasma weapons, as well as Kevlar, Carapace, and Titan armour from XCOM: Enemy Unknown. Complete Central’s Archives to unlock these new additions for use in the main single player campaign.